DaisyDisk is a disk space analyzer for Mac OS X, that gives a visual overview of your disk space in form of an interactive map. It's has a very fast scan algorithm that quickly reveals the biggest space wasters and let you remove them with simple drag and drop. DaisyDisk was started in late 2008 by interaction designer Taras Brizitsky and programmer Oleg Krupnov. They built the codebase from scratch to try to achieve higher speeds than similar programs. They decided to use a sunburst diagram as it is perceived better than other ways of visualizing data (such as treemaps). DaisyDisk displays the contents as a color-coded sunburst diagram, resembling the petals of a daisy. The interface places the root of the hard drive at the center of this daisy, and displays a hierarchical structure of that hard drive's file system that radiates from that center. This daisy is color-coded to differentiate between folders, while files themselves are always displayed as gray. DaisyDisk comes in two flavors: Mac App Store and standalone edition (available from our website). The standalone edition is not sandboxed (it uses Developer ID signature instead), allows you to scan disks as administrator, delete stuck files and reveal “hidden” disk space. These features cannot be delivered to the App Store due to Apple’s strict submission guidelines. Improved display of hidden disk space. Improved disk sorting order: first by physical device, then by alphabet. Optimized context menus and tweaked UI. 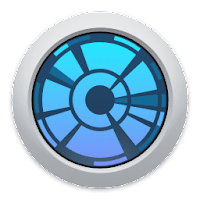 Disclaimer: Direct downloads for the lastest version of DaisyDisk 4.4 for Mac are provided by the official software's author, we can't guarantee safety, availability or download speed. Moreover, we don't and we won't provide any pirated/illegal versions or tools. We recommend you to avoid it as these methods can harm your device. If you like the software, buy it to support the developers. (We provide software discounts for many worldwide brands).